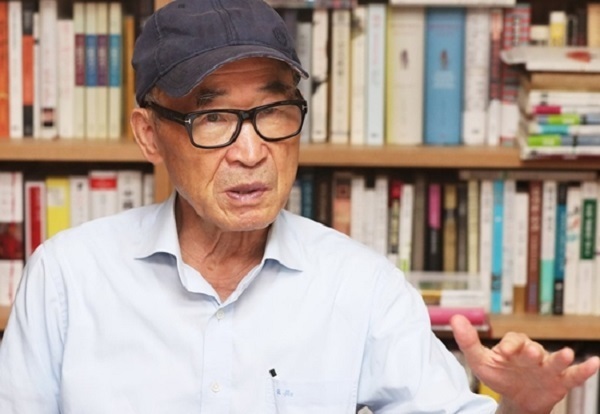 The government has begun to take steps to remove works by world-renowned South Korean poet Ko Un from school textbooks amid growing sexual misconduct allegations, multiple industry sources said Friday. The ministry requested to be notified of the plan by next Wednesday, according to the sources. Although the ministry did not specify the person by name, it is assumed to be targeted at Ko, since some publishers have already decided to delete parts about other high-profile artists involved in alleged sexual assaults, the sources added. Ko Un is at the center of a ballooning sexual misconduct scandal in the art and cultural fields. The allegations came to light when female poet Choi Young-mi described an experience of being groped by an unnamed senior poet in a poem she released early this month. Media and many industry sources have pointed to Ko to being the alleged offender. Ko offered to leave his home and writing studio, which were provided by a provincial city government, but has kept mum about the allegations. The Seoul Metropolitan Government has also shut down a section of its library where a collection of Ko‘s work had been displayed for public access.